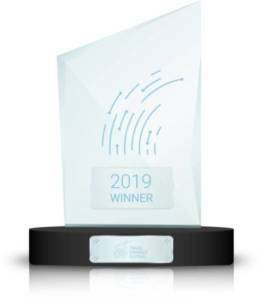 Following a year of geopolitical uncertainty, technological disruption and competition, the 2019 International Trade Finance Awards by Trade Finance Global recognise and award those who have succeeded and provided an outstanding contribution to international trade. Trade Finance Global Excellence Awards are totally independent and judged by an expert panel of trade specialists. The TFG Awards are presented each year, recognising businesses and service providers in the trade and receivables space. This year, Trade Finance Global have announced that they’ve added 7 new categories to the awards programme, in response to the market and changes in the lending landscape. Winning a TFG award is certainly something to shout about. Winners often incorporate the awards logos as part of core marketing, email, and promotional campaigns. The TFG awards logo is used as a badge of excellence in both the intermediary (B2B) and direct (B2C) markets. Want to nominate a company? Nominations are now closed. Results will be announced on the 12th February 2019. 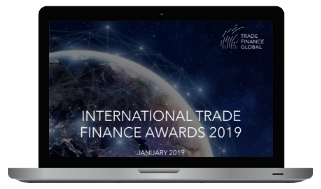 Early January 2019 – Trade Finance Global will nominate organisations (and are open for nominations). Closing date for nominations is on Friday 18th January at 12.00GMT. Why do the TFG Awards exist? All Trade Finance Excellence Awards aim to recognise and promote those who are directly or indirectly contributing towards the trade finance and import/ export finance sector. Simply put, TFG looks at the trade market before nominating and later awarding companies who have shown an outstanding contribution to the sector. Can I nominate my company? Nominees for the Awards are chosen by staff and judges within Trade Finance Global, Trade Finance Global. However, we do welcome external applications or nominations – please use the form above. Absolutely not, unlike many awards, the Trade Finance Excellence Awards are not-for-profit and seek to recognise the best in the industry. The winners are chosen because of the quality of their services and products. Winners will receive a complimentary trophy and certificate. Currently TFG does not have a formal awards ceremony for the TFG Awards, simply because this is a non-profit initiative which aims to recognise those who are excelling in their industry. What do the winning companies or organisations get? Winning a TFG International Trade Finance Award is a competitive and rewarding experience, and winners often receive considerable press coverage and recognition. The winners will be featured on our homepage, as well as a dedicated interview section for each winning company.